With Erdem x H&M hitting stores next month, the November 2017 issue of ELLE Czech spotlights the buzzy collaboration. 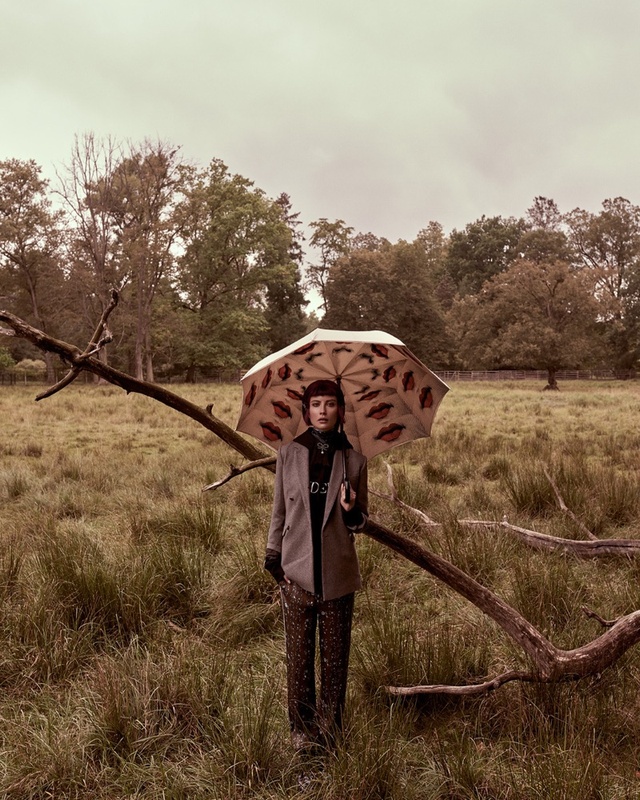 Photographed by Andreas Ortner, model Ester Berdych heads to the outdoors for this dreamy fashion editorial. 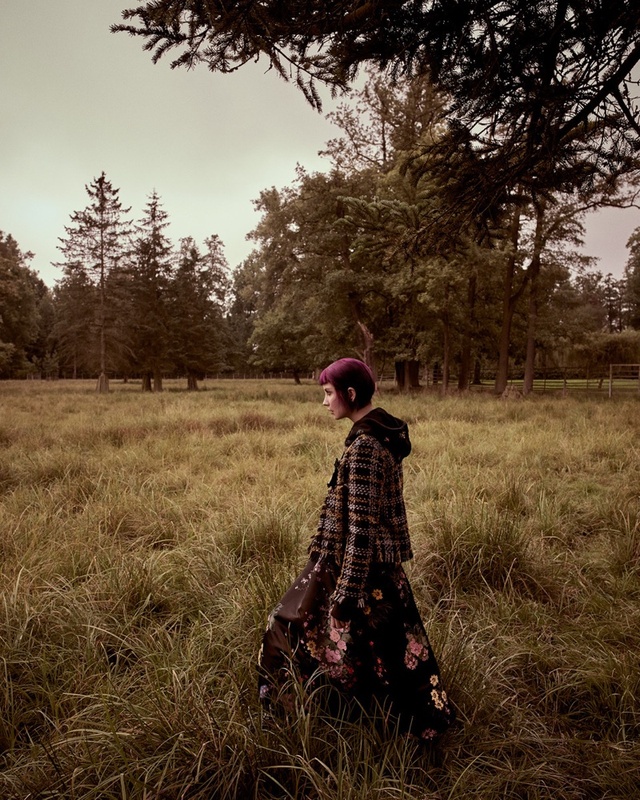 Stylist Jan Králíček dresses the purple-haired beauty in a mix of floral prints, high necklines and elegant coats.